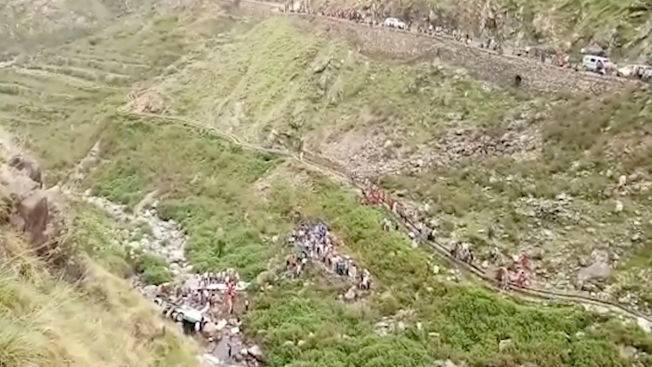 In this grab made from video provided by KK Productions, shows the area of a deadly bus accident in Uttarakhand's Paudi Garhwal district, northern India, Sunday, July 1, 2018. Chief Minister of Uttarakhand state Trivendra Rawat said the bus fell into a 700-foot (213-meter) deep gorge in the Himalayan foothills. "People were packed like sardines," said another police officer, Jagat Ram Joshi. 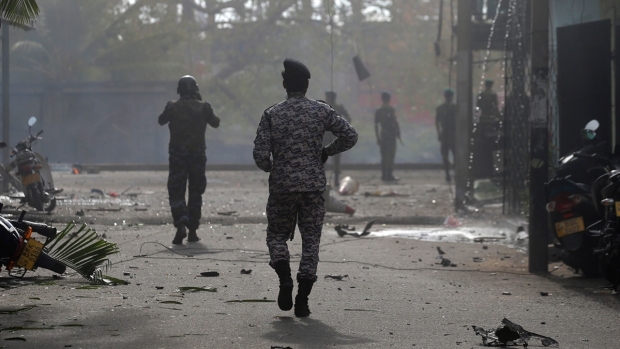 He said at least seven of the injured were in critical condition.